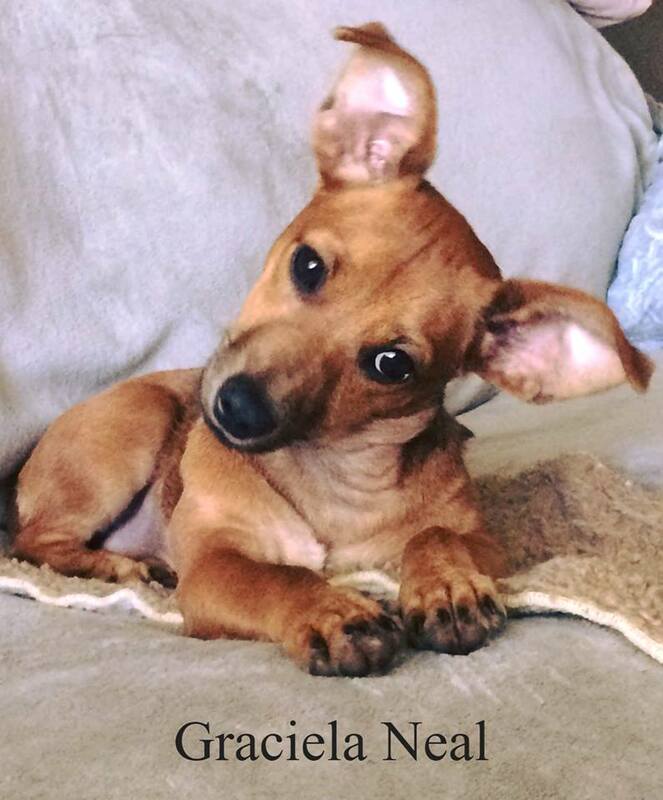 Brandee wrote this wonderful introduction of our new baby at the Neal home, Gracie Neal. The next thing I knew, I was in her lap giving her kisses and she had all this wet stuff running down her face. I did not care. I liked this lady. She took me up front, signed a bunch of papers and introduced me to this man- she says he’s my Daddy and they are now my parents! Can ya believe it? Just like that! I gots me a new Mom and Dad! Anyway, I have a big brother now. His name is Jack. I also have a tiny little sister named Bleu. She was in a cage just across the hall from me. Wait until you hear her story. Mom says Dad is sucker for a pretty girl. I don’t know what that means, but I sure love my little sister! I adore my big brother, Jack. He shares his food, bed and toys with me. He is not happy about sharing Mom, but he is coming around. I’ve been here 3 days now, and he is playing with me! PROGRESS!